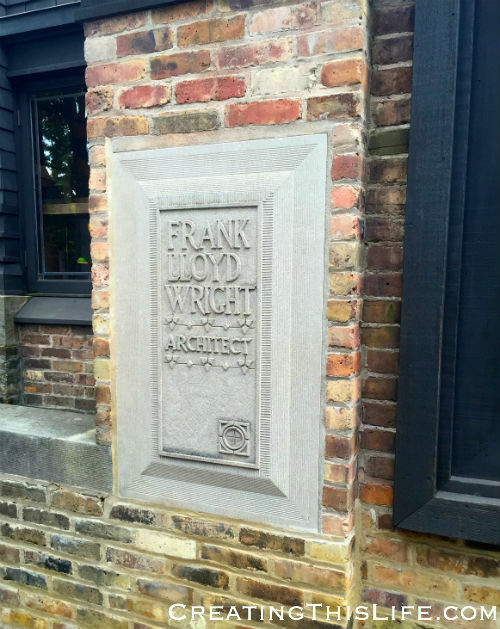 One of the things I wanted to do on our recent trip to Chicago was visit Oak Park, a village ten miles west of downtown Chicago that happens to be where the home and studio of architect Frank Lloyd Wright are located. 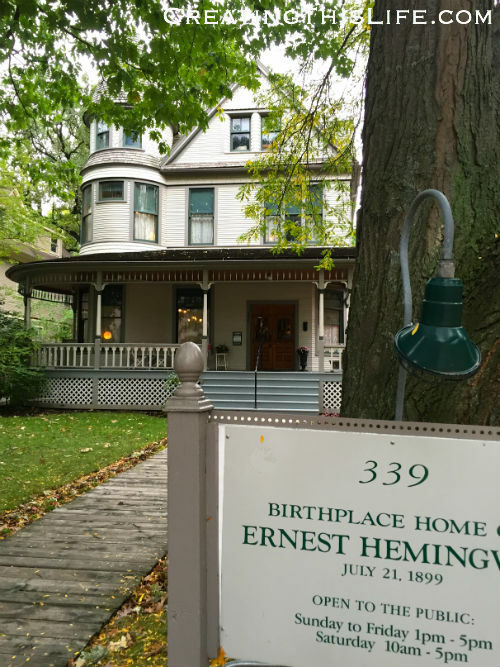 It’s also the birth place of Ernest Hemingway, and the Hemingway home, the Wright home, and Oak Park’s charming downtown are all within easy walking distance of one another. We made the Frank Lloyd Wright home our first stop and took a guided tour of the house and studio. My interior iPhone pictures are dark and shadowy, so I won’t share them here, but it’s an interesting tour if you ever find yourself in Chicago. 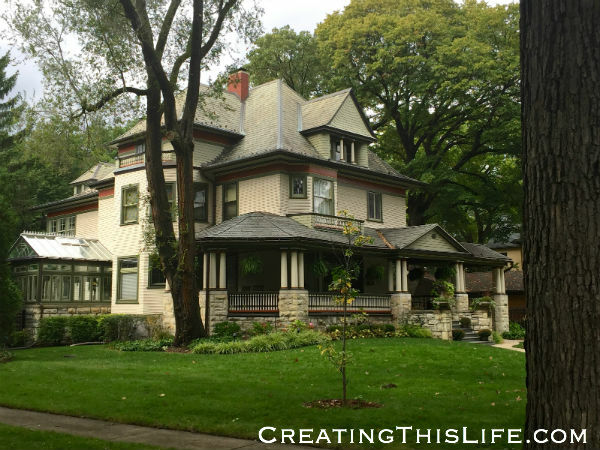 After the Wright tour, we made our way to downtown Oak Park for lunch and I took pictures of some of the beautiful, stately homes we walked past on the way. 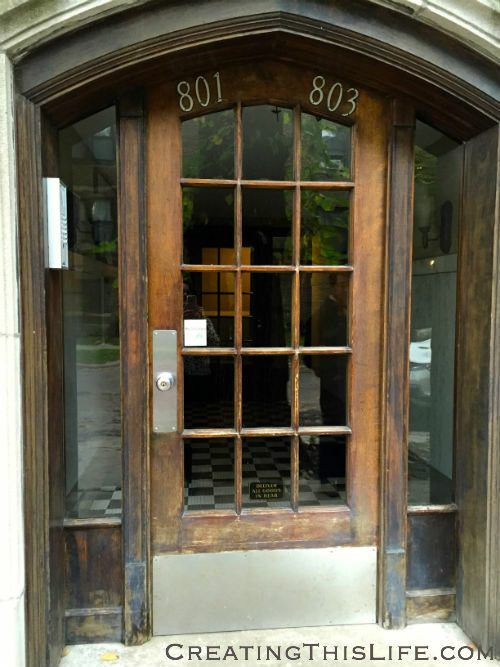 I’m also not above taking a picture of a beautiful doorway when I see one. I hope some of you can relate. 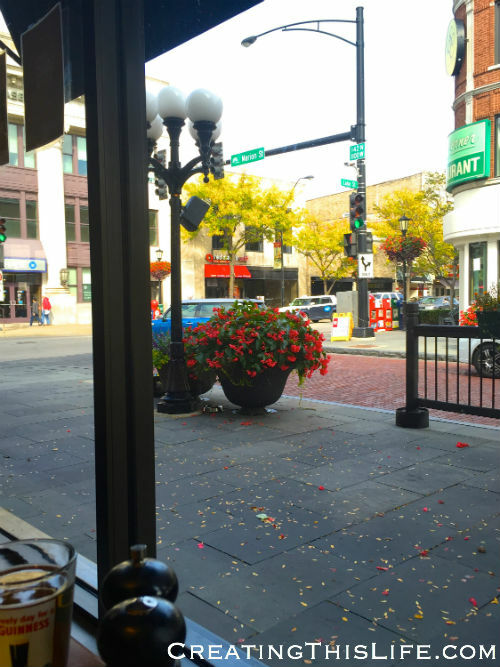 This was our view of downtown Oak Park from our table at lunch. Lovely. The downtown shops looked interesting too and I wish we had had more time to explore them. After lunch we spent some time at the Hemingway museum and then walked the couple of blocks to the home where he was born. 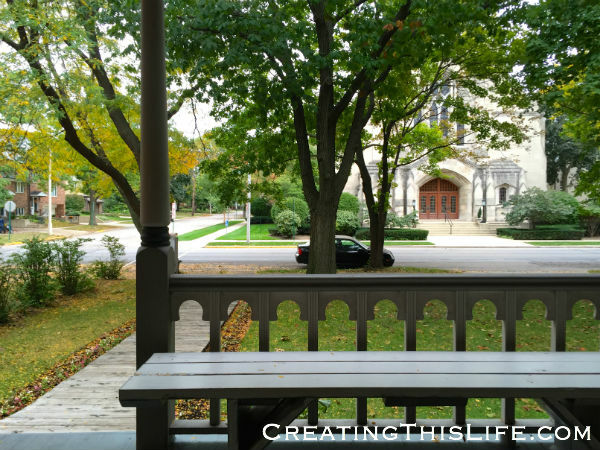 We didn’t go on the home tour, but we did spend some time sitting on the front porch taking in the view of the street out front. 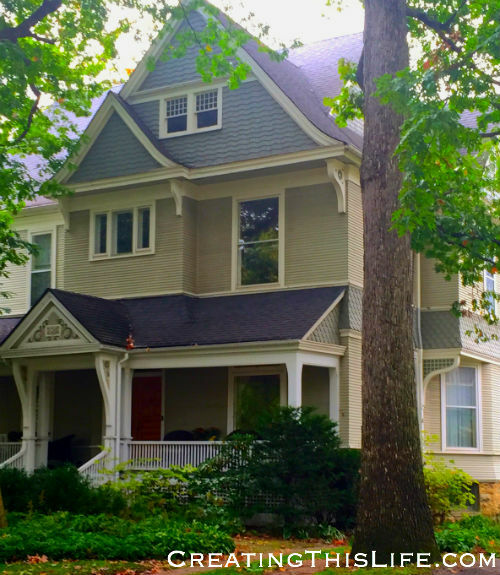 Note the wooden sidewalk leading up to the house. 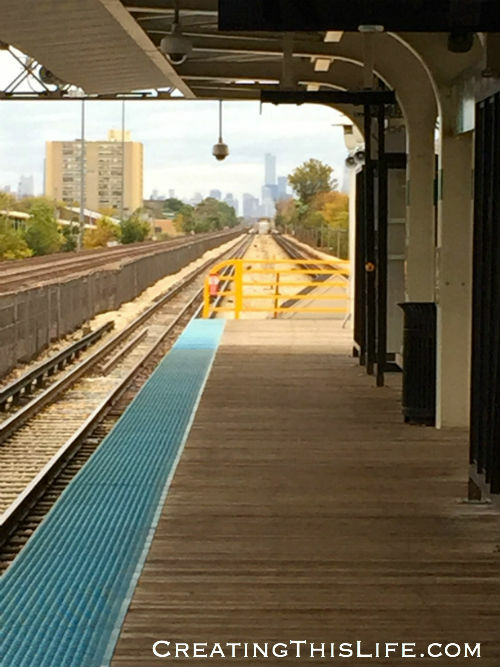 And I even enjoyed this view from the Oak Park train platform as we waited for our train to take us back to downtown Chicago, which you can see in the distance. 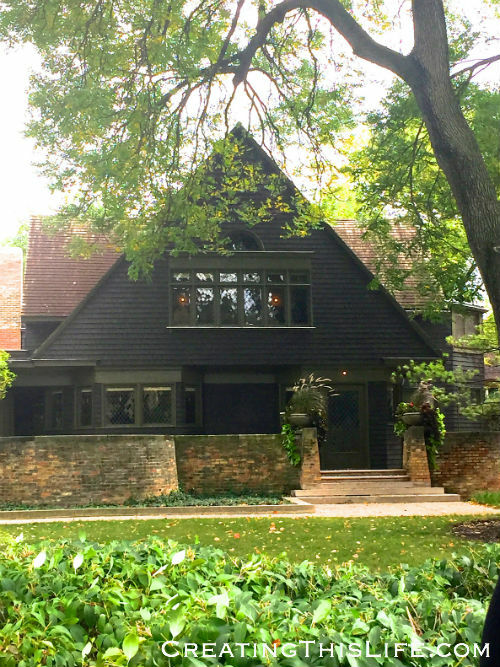 I’ve wanted to visit the Frank Lloyd Wright home for a while now – years even – but when I discovered the Hemingway connection to Oak Park it piqued my interest even more. And then my book club read these two books. Books that made the rounds of many book clubs I believe. 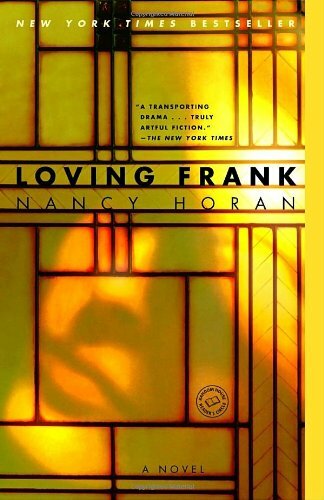 Loving Frank by Nancy Horan. From Amazon: In this ambitious debut novel, fact and fiction blend together brilliantly. 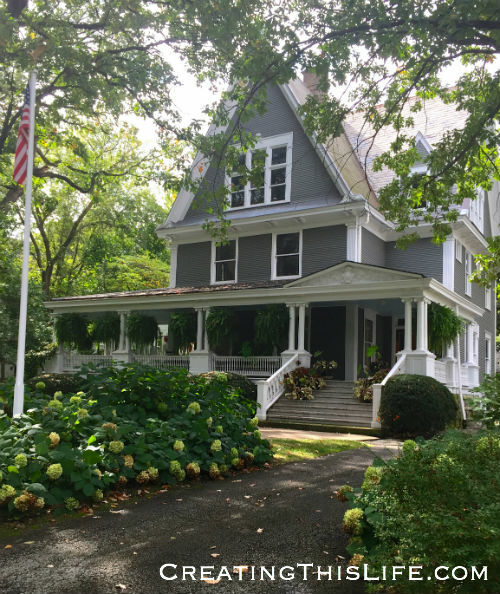 While scholars have largely relegated Mamah to a footnote in the life of America’s greatest architect, author Nancy Horan gives full weight to their dramatic love story and illuminates Cheney’s profound influence on Wright. 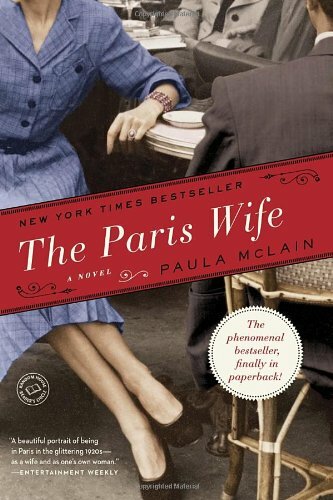 The Paris Wife by Paula McLain. From Amazon: A deeply evocative story of ambition and betrayal, The Paris Wife captures the love affair between two unforgettable people: Ernest Hemingway and his wife Hadley. A heartbreaking portrayal of love and torn loyalty, The Paris Wife is all the more poignant because we know that, in the end, Hemingway wrote that he would rather have died than fallen in love with anyone but Hadley. I loved both of these novels. They have stayed with me long after reading them. In particular, the events that unfold in Loving Frank are so incredible that I can’t believe they aren’t more well-known. Have you read either of these books? Been to Oak Park? P.S. 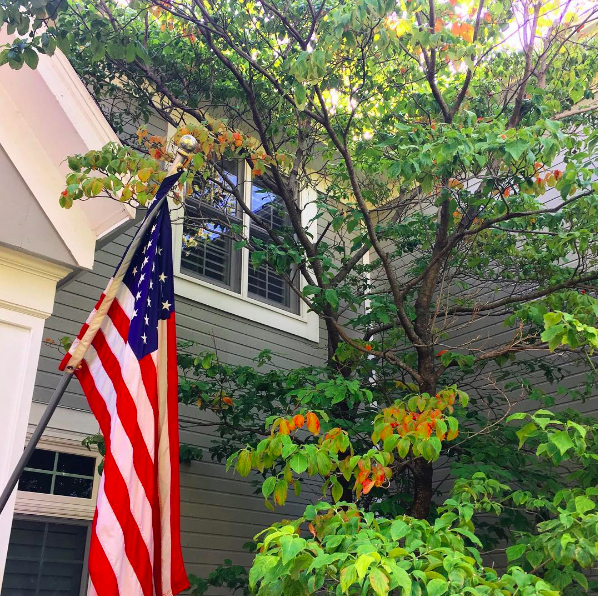 For more fall house walks see Naperville and Georgetown. Note: This post contains my Amazon affiliate links. 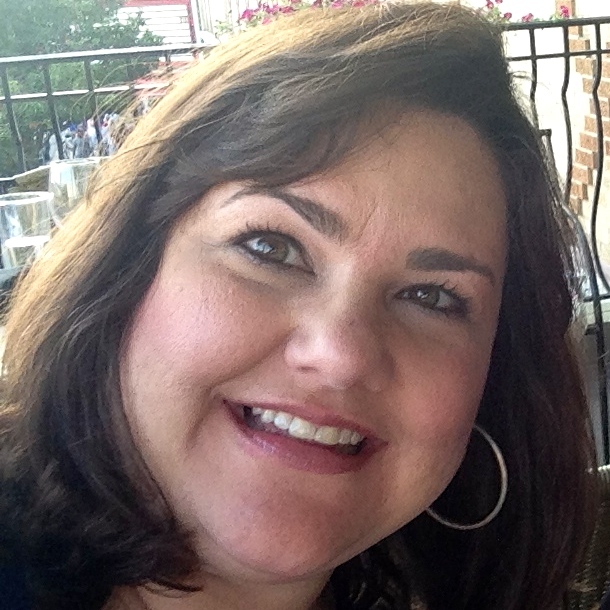 Melanie, we had a great time in Chicago. We love your neck of the woods. Hope you make it to Oak Park some day!